Many Japanese cars that came to the US had modified roofs for the American crowd. Often times T Tops and convertibles were the modifications. There were a few companies that did these conversions and had partnerships with the manufacturers to offer these modified tops as factory option. The Infiniti M30 was one of these cars. ASC modified the M30 for the convertible version. “I have a slick top M30” and that “it was 1 of 500 available in US M30s”. While MarkJcm has said it was mentioned in a brochure that there was a standard M30, which could be a reference to a basic M30 with no sunroof, again, there hasn’t been as much forthcoming information. I will say this, I don’t discount the idea of a standard M30 with a slick top, I do find it interesting and the probability of a few M30s being untouched is high. In the 14 years of looking at M30s, I have NEVER seen a slick top and so when I heard this statement, I asked that person to provide pictures. Of course he didn’t and in my book, making a bold statement without evidence or lack of it, providing some indication of truth, ends up being an exaggeration or a falsehood. In the past, the topic of sun roof delete came up and I remember saying that many of the Honda owners had a carbon fiber sun roof insert. I think there was a company that made these delete covers for a short period of time in the mid 2000s. Nothing was ever made for the M30 (surprise!). While we are on this topic of slick tops, the reason why the probability is high is because the late stage F31 leopards in Japan DID have a slick tops. In Japan, the F31 leopard had different trim levels and options unlike the US counterpart. When I was at Stance Nation, I was able to look at Sano’s leopard and I noticed he has no sunroof! While it is not an M30, it is the closest thing to one. 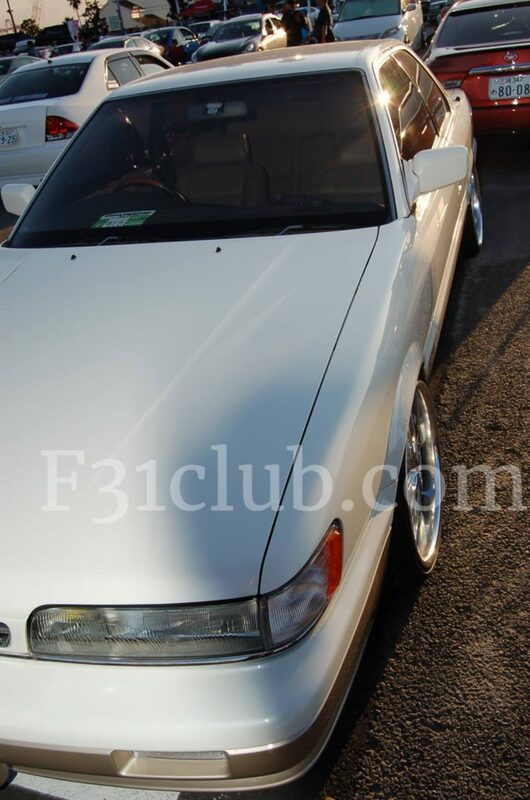 Again, a kouki F31 with no sun roof was something I have not seen. 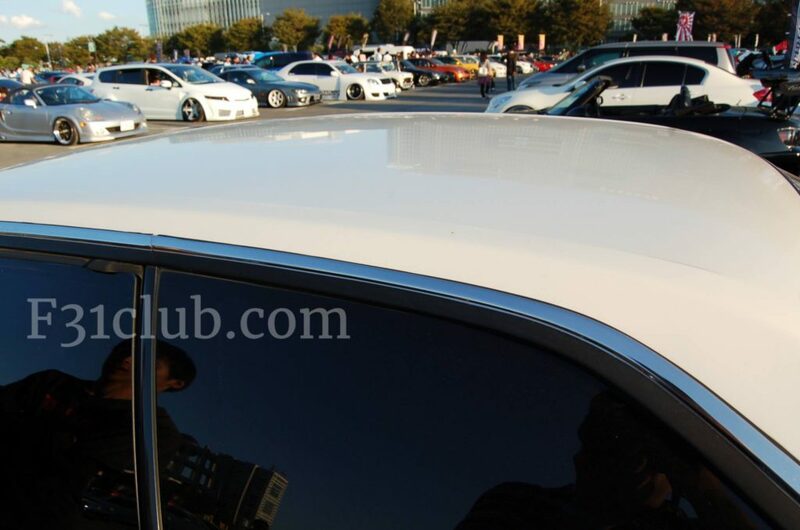 This entry was posted in blog, opinion, Owners, parts, review and tagged #f31club, #f31レパード, f31 leopard, infiniti, infiniti m30, m30, slick top, slicktop.